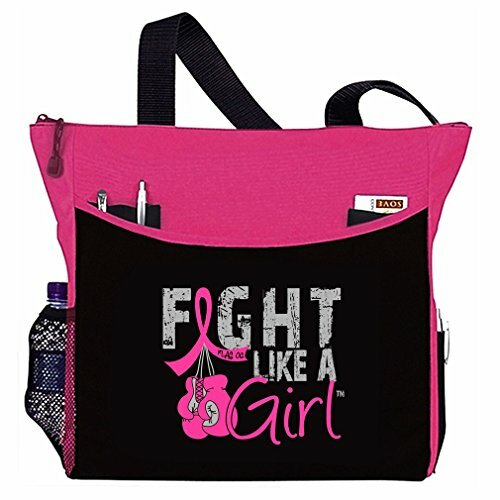 Take your pink ribbon spirit on the go with our eye-catching Fight Like a Girl tote bag featuring pink boxing gloves and a pink awareness ribbon, perfect for sharing the important message of breast cancer awareness while toting your gear to yoga class, the gym, the beach, or anywhere else! If you have any questions about this product by Fight Like a Girl, contact us by completing and submitting the form below. If you are looking for a specif part number, please include it with your message.